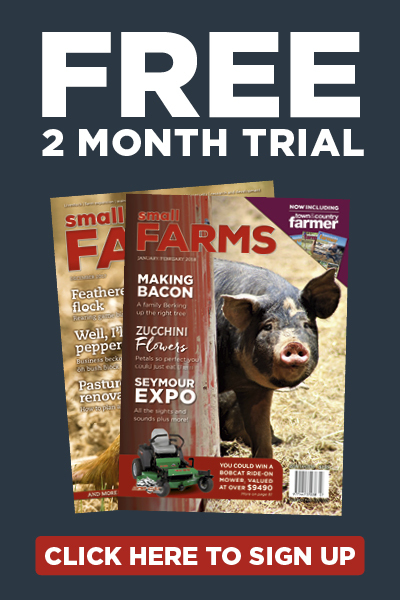 HAND-CUT meats have a different texture to machine-made minces. Some say hand-cut mince tastes much better than the sometimes paste-like machine-ground meats. Of course it is all about the texture to suit the recipe. 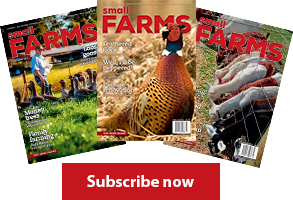 Burgers with added flavours are well suited to machine-made mince, whereas finely hand-cut cubes are ideal for tartares and chilli con carne for example. 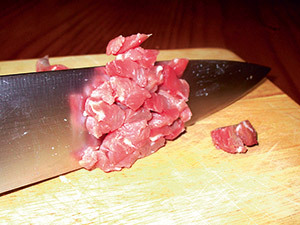 To cut meat into mini-cubes, start with a very sharp knife. 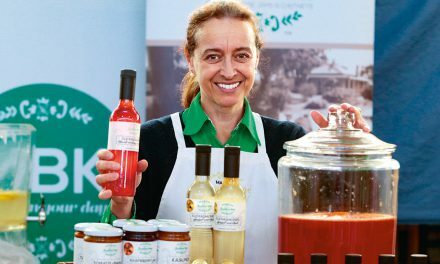 I like a slightly curved edge to the blade, like that of a chef’s knife, and I prefer the blade to be very long, say 30 cm in length. The knife I’m using in the accompanying sequence is a Wusthof Trident 30 cm chef’s knife that has been my favourite for this technique for at least three decades. 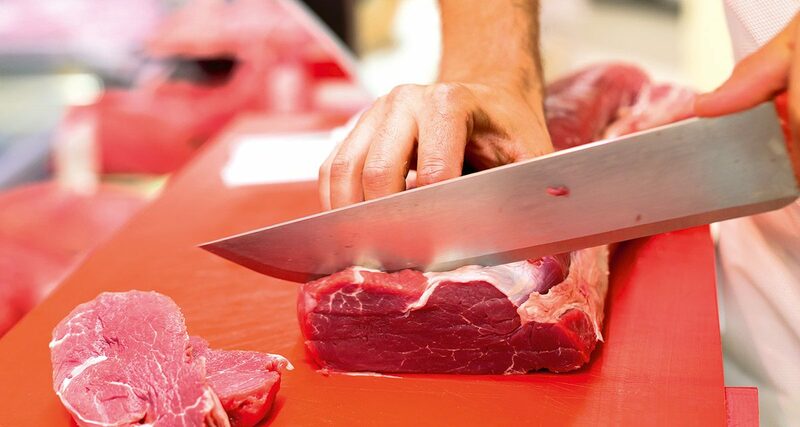 The two attributes of length and a slight curve allow you to use a rocking motion to cut with two hands on the knife. This double-handed rocking cut is demonstrated in the last two photographs of this month’s sequence. 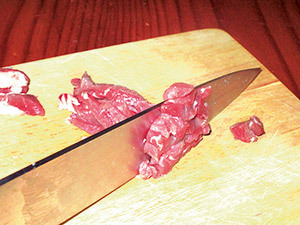 Prepare the meat by cutting off any remaining connective tissue. The connective tissue can be included in the cooking if you choose either a pressure cooker or slow cooking option as it will break down with long, slow cooking. 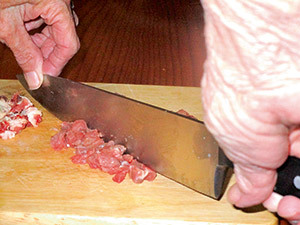 An alternative is to add diced fat from around the kidneys to the mince if you are opting for a faster cooking method. Start with one steak sized piece of meat per diner. 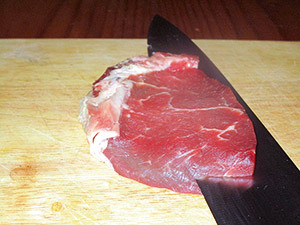 Slice the meat into thin(ner) steaks. 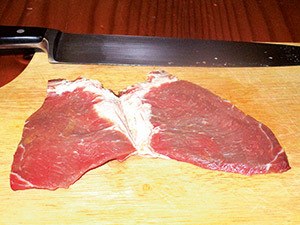 The steak cut into thin pieces. 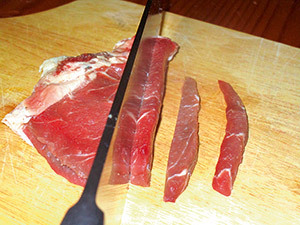 Then slice the meat into long thin (very thin) strips – a sharp knife with a long blade makes all the difference. Next pile the strips on top of each other). And cut across the strips (perpendicular to their length). This close up shows the mini-cubes of meat that result. 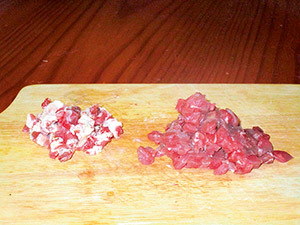 Dice the meat and also dice the fat and/or trim (if you are using it in the recipe). 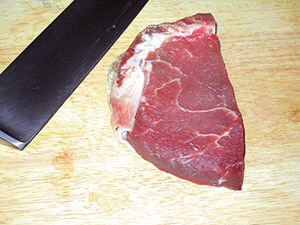 Hold the knife and blade as shown in the photo and rock the sharp edge of the long blade across the meat to create an even finer dice. Handy Hint: Always be sure to keep both hands on the knife; as it is common to cut your spare hand if you try this single-handed. 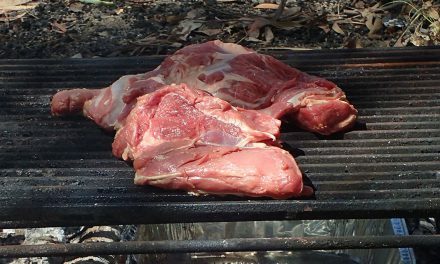 Finally perform the same double-handed rocking motion to cut across the pile of meat at ninety degrees to the cuts from the previous step. 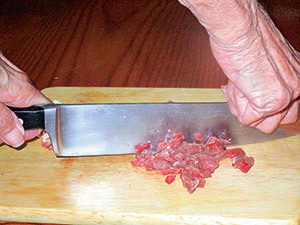 Then keep cutting and keep moving the blade around in a circle and/or turn the cutting board, to make sure all of the meat gets finely chopped. 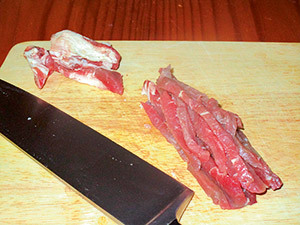 As you continue to cut and chop, continually pile the meat into the centre and then cut through it again.